The Stott House at Washington and Walthall. Sara and Russell's apartment was in the house just behind it, visible on the right. “Son and Betty Jane married that fall  and moved into an apartment in the Billups Apartment Building down the street from Mama. He had met her while she was working here as a dental hygienist temporarily. They married in her hometown of Macon, Georgia. 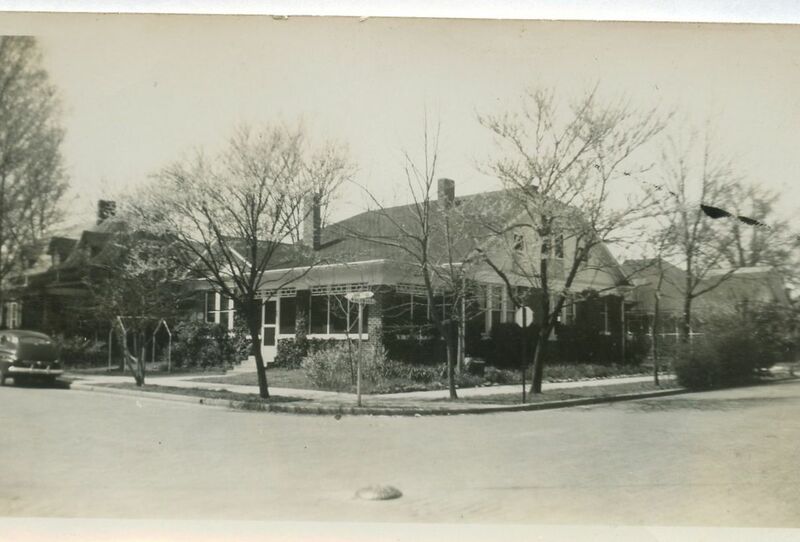 Three of the Evans children wound up in North Greenwood, leaving the old Stott house at Washington and Walthall behind in presence if not in spirit. 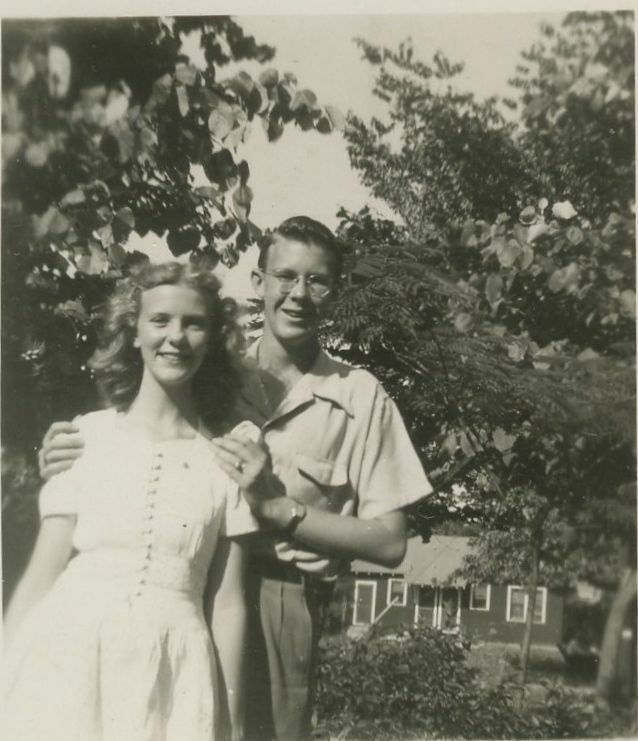 Sara and Russell were part of the post-World War II wave of young married couples who bought parcels of former cotton fields and made lawns along the unpaved streets named for presidents and trees. Adams, Jefferson, Monroe, Walnut, Myrtle, Poplar……all the streets of our lives, and fields of dreams for them. Jessie would stay on at the Stott home, even as her children grew up, fell in love, married and moved on with their lives. Her years there in that sanctuary totalled 28, which I’m sure neither she or Big or Uncle Roy ever envisioned when tragedy struck in 1932. It was a happy home, described that way by everyone who ever lived there. And it still stands on that downtown corner, well-maintained, with some of Big’s old vines still climbing up the glassed-in porch. We are fortunate in many ways in this extended Evans/Stott family, in that our brick-and-mortar anchor remains, a daily reminder of what’s important and what endures.